Nice and simple, very little stuffing about. I used this basically in my Crispy Skinned Chicken Breast recipe. Use different herbs if you like but always aim for fresh herbs as bottled herbs taste like they have come out of a bottle. Halve the potatoes lengthwise. Boil the potatoes until just, just cooked. 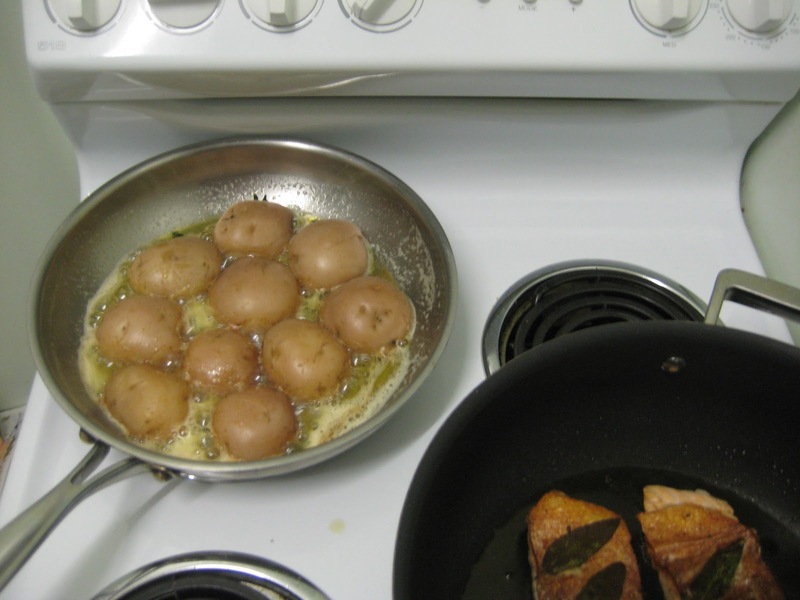 Heat some oil in a large frying pan over a medium heat, add in the stripped thyme and toss about to flavour the oil. 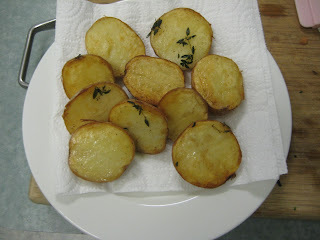 Place each potato in, cut side down and cook until it has nice colour. Turn over and repeat. 5 to 10 minutes approx.